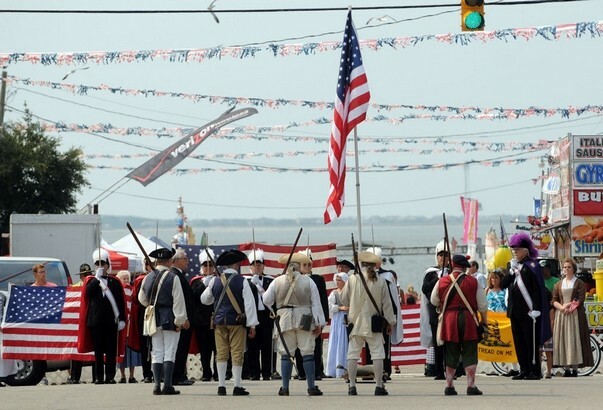 As residents of one of the original thirteen colonies, many North Carolinians have celebrated and commemorated the involvement of their progenitors in the push for independence from England. Community leaders in the Coastal Plain as well as the back country resolved to fight for independence from the crown unless Parliament remedied colonial grievances. Disgruntled property holders in Mecklenburg County were the first to draft such a document in May 1775, though questions about this early revolutionary activity have lingered. Local leaders in New Hanover, Cumberland, Pitt, and Tryon counties soon followed suit in the summer of 1775 and later those in Halifax drafted an even more strongly worded petition in April 1776. Our state also boasts 3 representatives to the 1776 Continental Congress in Philadelpia. Read brief biographies of the North Carolina signers here. A Fayetteville parade in 1909 celebrated the Liberty Point Resolves and included a float with young women, most of whom were descendants of the signers of that document. Nearly a decade later, the newly formed NC Museum of History collected objects from one of Hooper’s daughters (right). 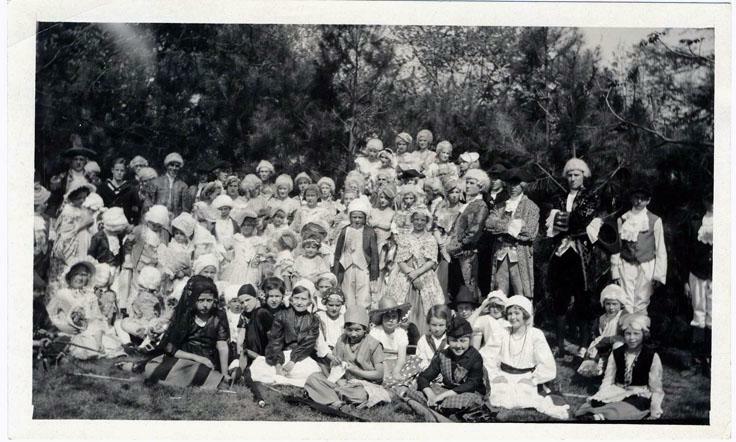 During the 1930s (at least) the town of Edenton organized a children’s pageant honoring Hewes. Does your collection include objects commemorating the pre-revolutionary resolves or the signers of the Declaration of Independence? 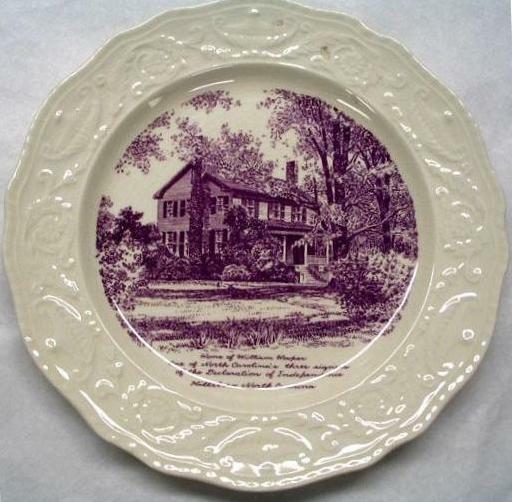 If so, are these commemorative objects useful for exhibits or engaging to researchers? Along with fire trucks and marching bands, communities often want to showcase history at 4th of July parades. When commemorations intersect with crowds, history organizations have opportunities to engage new audiences. Revolutionary War re-enactors are common in many of North Carolina’s Independence Day events. Museums and historical societies should take advantage of the occasion too. In addition to celebrating the United States’ founding, our state has some special 4th of July history to share and to promote. Sir Walter Raleigh’s first American expedition reached land along the coast of what became North Carolina on July 4, 1584–nearly 2 centuries before the Declaration of Independence. 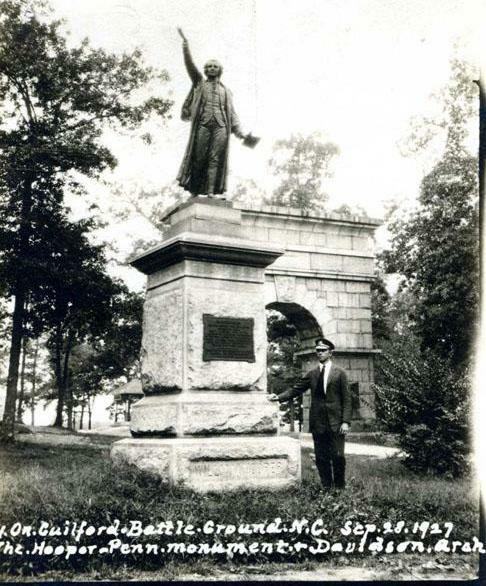 North Carolina can also boast two earlier Declarations of Independence, with the Liberty Point Resolves (June 1775) near Fayetteville and the Halifax Resolves (April 1776). A historically themed float will heighten your organization’s visibility. What could you do or create for the parade to engage your community and to further your institutional mission? 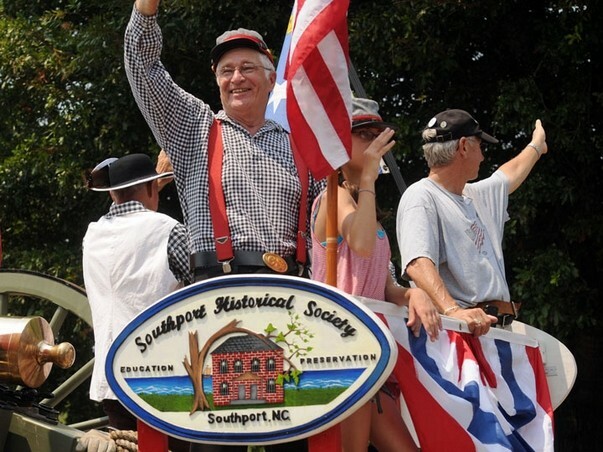 The Southport Historical Society promotes its organization during that town’s huge 4th of July Festival parade. 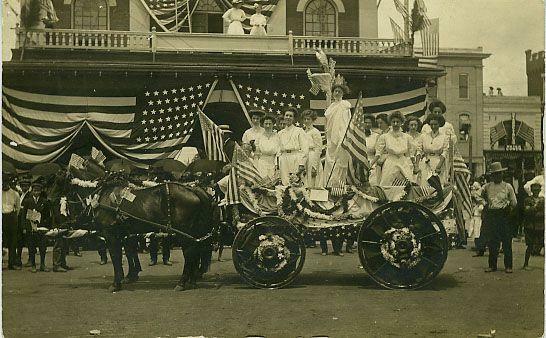 Nearly 100 years ago, young female descendants of the signers of the 1775 Liberty Point Resolves rode in a Fayetteville parade standing on a float in tableau form to illustrate the ideal of Liberty and to remind spectators of a dramatic episode in local history. If your museum is near the festivities, try offering a break from the heat outside with a small Independence-Day-related exhibit or an educational program. 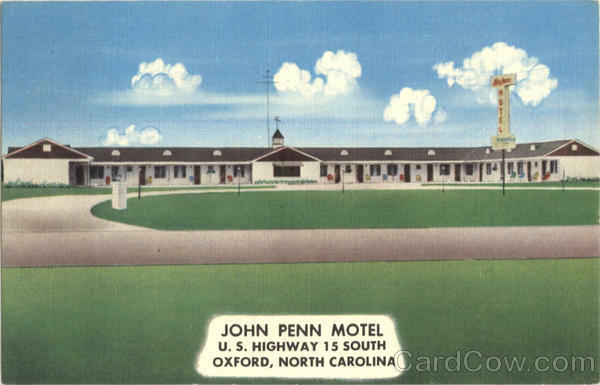 North Carolina is rich in significant events of the Revolutionary War and the holiday is prime time to capture visitor interest in these topics. 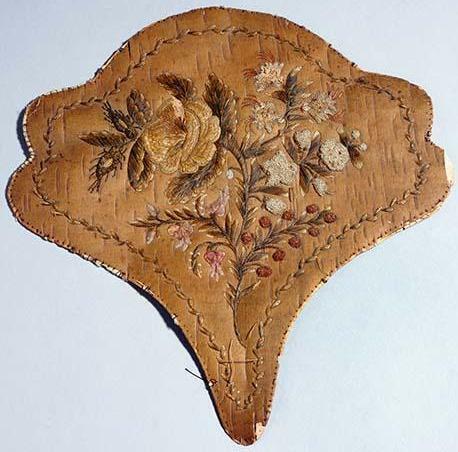 Even if your site does not relate to the colonial and early national period, 4th of July commemorative artifacts can form interesting exhibits. 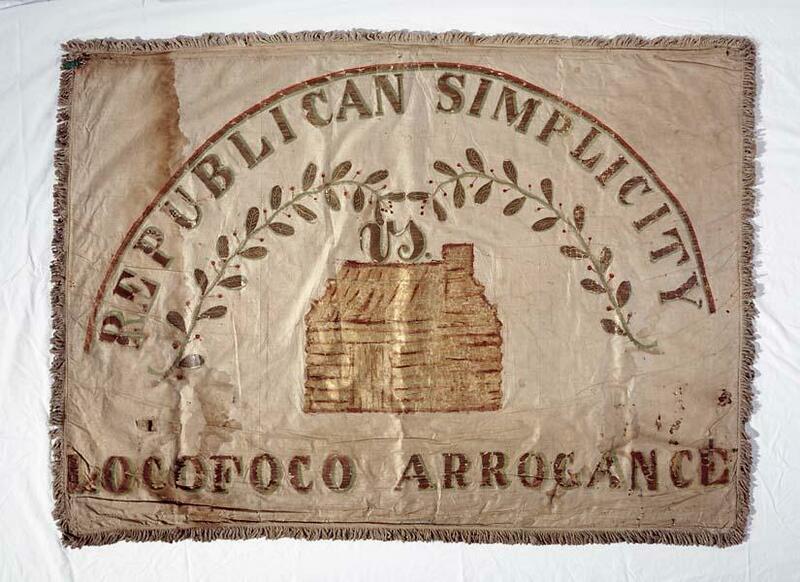 This Whig campaign flag from Greensboro debuted at a 4th of July ceremony in 1830. The Ladies of Edgeworth Seminary made the flag and presented it to the gentlemen of the Guilford Tippecanoe Club. 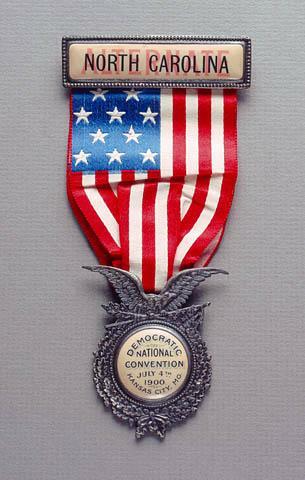 A North Carolina alternate delegate wore this badge at the 1900 Democratic National Convention on July 4, 1900 in Kansas City, Missouri. Both past events linked to the significance of Independence Day in order to ally political party activities with the United States’ founding principles. Set up a selling stand for concessions, crafts, and/ or other souvenirs that your organization has produced. 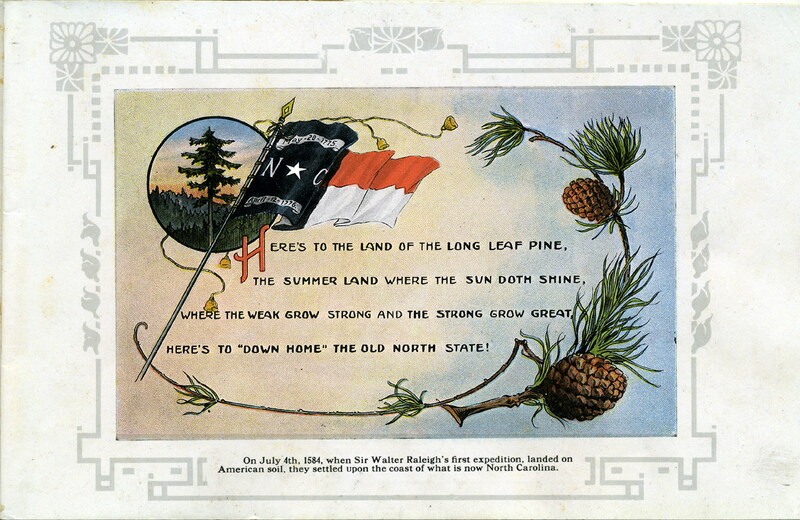 Perhaps postcards reproduced from the NC state toast image above (with the Ramsey Library’s permission) would make good gift items to sell. Ideally these will not only generate revenue for your institution, but also the products should connect to the cultural heritage that anchors your organization’s mission. Staff at the stand should be able to provide interested patrons with more information about your historic site and allow them to sign up for newsletters or other forms of involvement. Make sure you have a visible presence in your community’s history-related celebrations and that your institution’s mission becomes a part of the public’s awareness of local history. What does your organization do for the 4th of July? Which activities have been the most successful in your area?